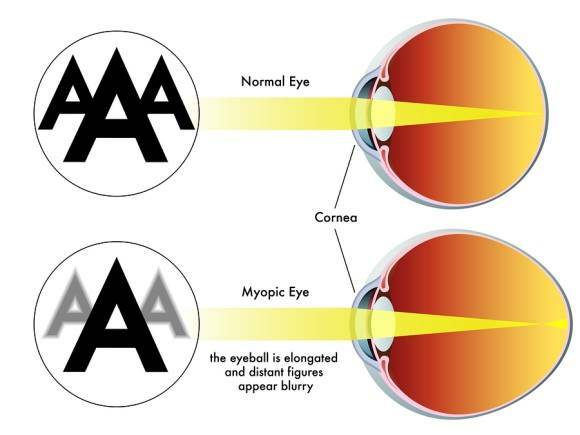 You may not be familiar with the term ‘myopia’, but you are probably familiar with the term ‘nearsightedness,’ which is just a more commonly known term for this vision problem. Myopia is a condition that affects the eye’s ability to refract or bend light, making it difficult for people to see objects that are far away. People with myopia can typically see nearby objects clearly but experience vision problems when trying to focus on distant objects. This condition is quite common in all ages, affecting approximately 30% of Americans. Myopia can start in childhood or be triggered later in life by visual stress or certain health conditions. If you are struggling with myopia, your optometrist can help you find relief with orthokeratology. This treatment is designed to provide short-term relief for vision problems associated with myopia by temporarily changing the shape of the cornea. Patients are instructed to wear gas-permeable contact lenses while they sleep at night. These contact lenses safely change the shape of the cornea, resulting in an improved ability to refract light. After taking the contacts out in the morning, patients will notice improved vision for a day or two. This treatment can also help patients dealing with farsightedness or astigmatism. This treatment is ideal for patients with mild or moderate myopia who want cut down on using glasses or contact lenses but do not want to undergo surgery. Orthokeratology is a temporary treatment that provides temporary results, meaning it does not have the risk associated with surgical procedures. Younger patients who do not quality for surgical procedures may also be interested in orthokeratology treatments to reduce myopia errors and gain better vision. Schedule an appointment with Dr. Lucy of Eye Luv Lucy today to learn more about orthokeratology and to find out if this vision center treatment can improve your sight! More than 80% of a child?s learning happens through vision. An undiagnosed vision problem could impact learning and performance, grades, self-esteem, and more. Sometimes, undetected vision problems are mistaken for a learning disability, such as dyslexia or ADD. Older children may be better able to communicate when their vision is abnormal, but elementary aged students may not. 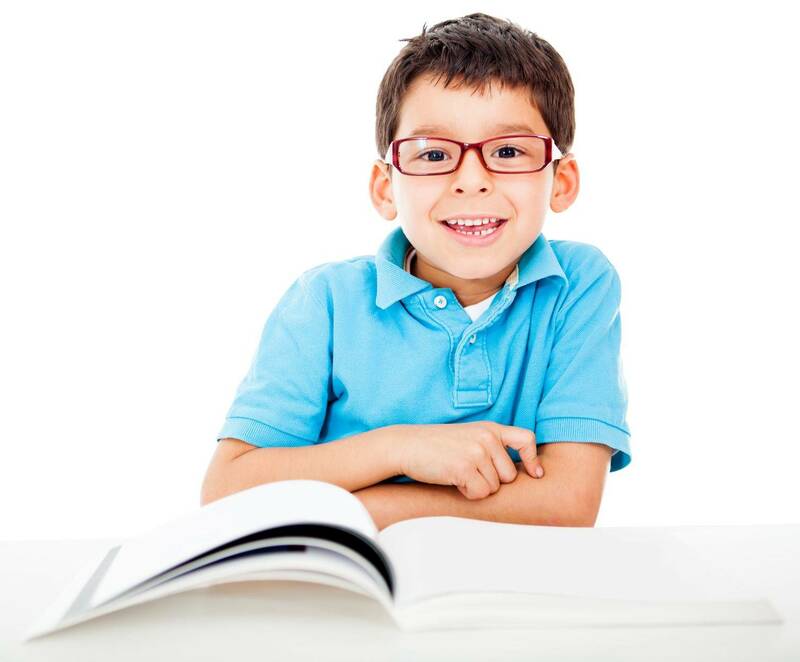 How can you determine if your child is suffering from vision problems? Even if your child already wears glasses, their prescription can change frequently as they grow. The new school year is right around the corner. In between shopping for new clothes and gathering school supplies, be sure to also arrange for an annual eye health exam with Dr. Lucy of Eye Luv Lucy specializing in children’s vision. Success in the classroom begins with healthy vision! With students bringing phones, laptops and tablets to school, their eyes are being subjected even more to the screens that can potentially damage them. It’s crucial to understand how these vision problems can inhibit your child’s learning process. Eye exams performed at school by a nurse are not quite as effective at diagnosing vision problems that aren’t prominent yet. This can lead to children being misdiagnosed for other issues such as ADHD, when it is often a vision problem. One in four children has an undetected vision problem, so visiting an optometrist as part of your back-to-school routine is crucial. Make an appointment with Dr. Lucy today and get your children the ability to work their best this school year.